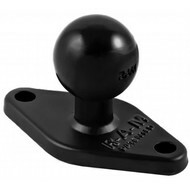 De draaiknop is voorzien van cilinderslot. 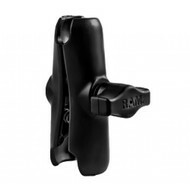 Zodra de sleutel omgedraaid en verwijderd is kan men de Tough-Claw niet meer los draaien. 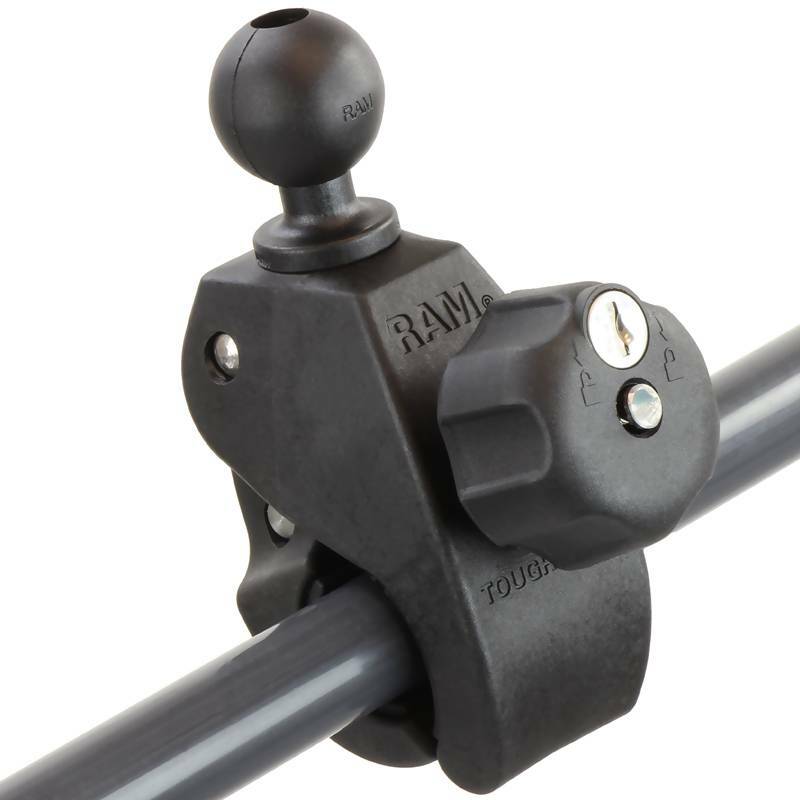 The RAM Locking Tough-Claw™ is the perfect mounting base for quick and easy tool-less installation and removal on round, square, odd shaped rails and bars. 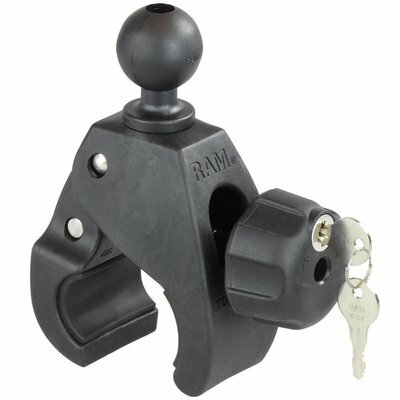 The Tough-Claw™ can be clamped on rails from insert clamping range here in outer diameter. 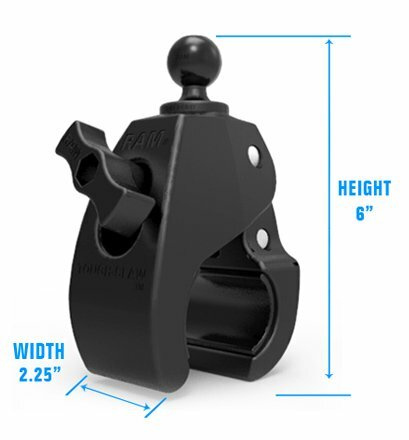 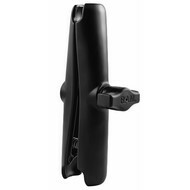 Ideal for mounting tablets, action cameras, smartphones, rod holders and much more in virtually any environment, the Tough-Claw™ is a versatile solution for when a bit more grip is required. Perfectly suited for mounting on the yoke of an aircraft, handlebars and seat posts of bicycles, kayak rails, roll bars and much more, the RAM® Tough-Claw™ will soon become another essential RAM® component in your collection of mounting options. 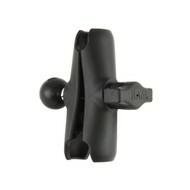 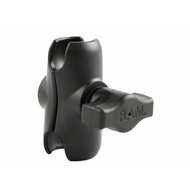 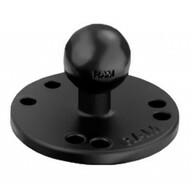 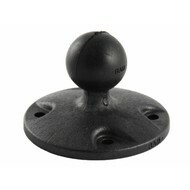 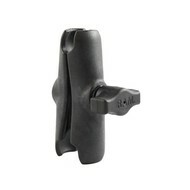 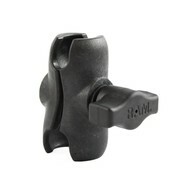 The locking knob includes a 1/4”-20 thread and allows you to disengage the screwing of the knob. 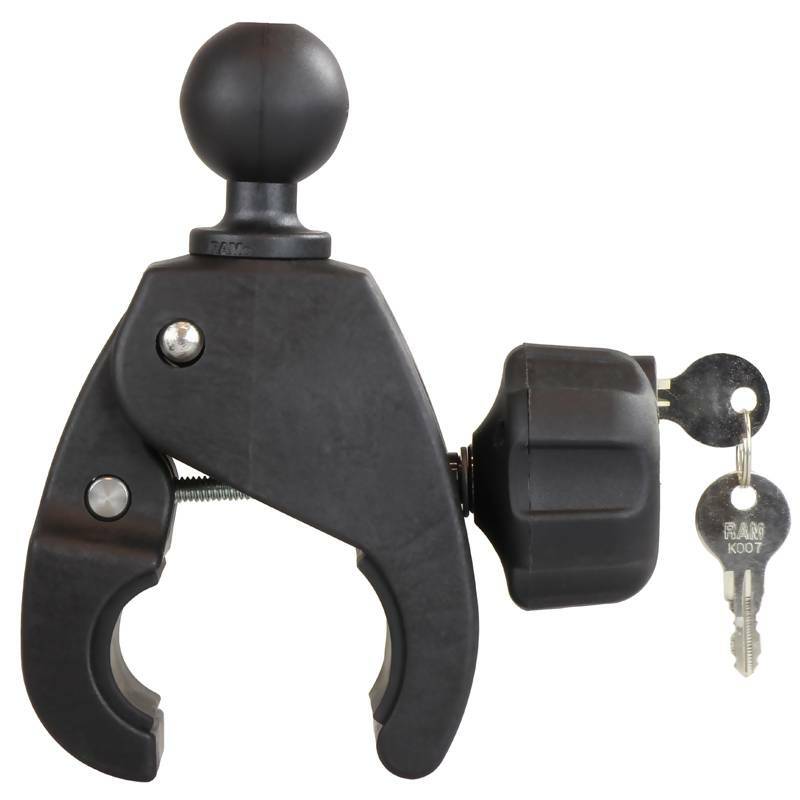 Once you have set your Tough-Claw™ in the location you need, you can lock it in place for peace of mind and tamper resistance.